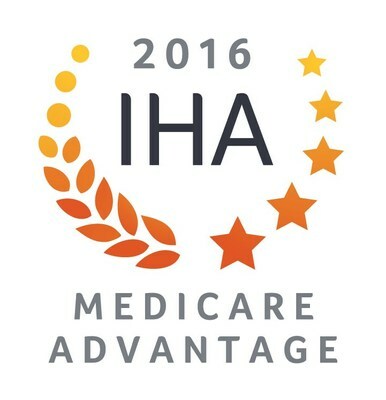 EL SEGUNDO, Calif., Jan. 27, 2017 /PRNewswire/ -- HealthCare Partners, a DaVita Medical Group, today announced that it has been publicly honored by the Integrated Healthcare Association (IHA) for providing high-quality care to Medicare Advantage patients in California. HealthCare Partners has been consistently recognized by IHA since 2003. Each year, IHA, a statewide nonprofit group committed to high-value, integrated care that improves quality and affordability for patients in California and across the nation, recognizes physician organizations based on how well they provide recommended care to more than 2 million California seniors and people with disabilities enrolled in MA health maintenance organizations. HealthCare Partners attained at 4.5 star rating for 2016-17, which reflects care provided to Medicare Advantage patients in 2015. "We are thrilled to, again, be honored by an organization who shares our passion for high-quality clinical outcomes," said Chan Chuang, MD, chief clinical officer at HealthCare Partners. "For over two decades, our organization has been deeply committed to delivering quality clinical outcomes through the health care services we provide and we are proud to see that effort recognized." Clinical quality measures used to calculate the star ratings range from rates of breast and colorectal cancer screenings, to eye exams and blood sugar control for patients with diabetes to managing osteoporosis in women with a previous fracture. HealthCare Partners exceeds industry benchmarks on all these clinical measures. HealthCare Partners is a division of DaVita Inc. (NYSE: DVA), a Fortune 500® company that, through its operating divisions, provides a variety of health care services to patient populations throughout the United States and abroad. HealthCare Partners manages and operates medical groups and affiliated physician networks in California, Nevada, New Mexico, Florida, Colorado and Washington in its pursuit to deliver excellent-quality health care in a dignified and compassionate manner. As of September 30, 2016, HealthCare Partners provided integrated care management for approximately 750,000 patients. For more information, please visit HealthCarePartners.com. IHA is responsible for collecting data, deploying a common measure set, and reporting results on behalf of ten health plans for approximately 200 physician organizations caring for about 9 million members. Bonus payments to physician organizations by participating health plans cumulatively total over $500 million since 2003. For more information please visit: www.iha.org.